From cosy quarters in the Mother City’s outer-lying areas to spectacularly bedecked downtown domiciles, these are our pick of the best bed and breakfasts in Cape Town. About as good as it gets when it comes to B&B accommodation that’s close to Table Mountain, architecturally impressive MannaBay offers 8 uniquely designed rooms that set the bar for contemporary luxury. Their high tea is fast-becoming as famous as the guesthouse, which is currently a nominee in the World Travel Awards for South Africa’s leading boutique hotel. This homely French owned and managed B&B in the City Bowl offers a peaceful abode in one of Cape Town’s leafiest hillside suburbs. 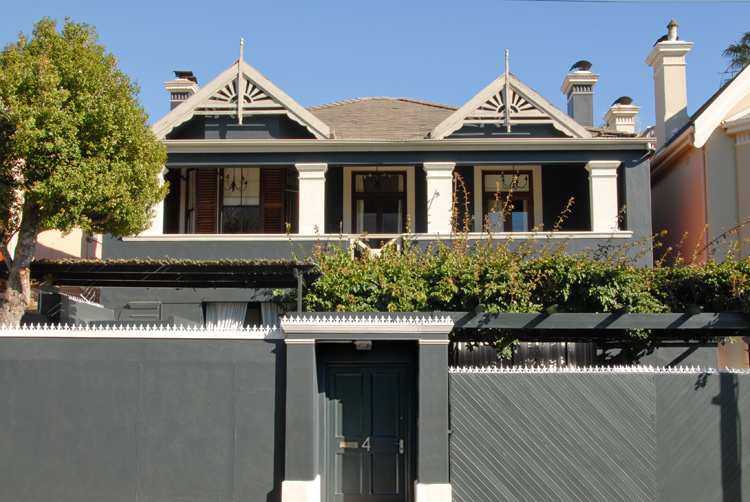 Between the turn-of-the-century Victorian home and the owners’ personally appointed blend of wine, Villa Belle Ombre presents the ideal location within walking distance of the city’s finest venues. Down Sivivane Crescent in Khayeltisha Township near Cape Town, a group of youngsters jostle over a dusty soccer ball. Their ranks scatter as a Hiace taxi approaches – heard long before it’s seen. An informal but warm welcome awaits you in Khayelitsha where ‘kasi’ style accommodation isn’t just a glorified expression in a magazine. 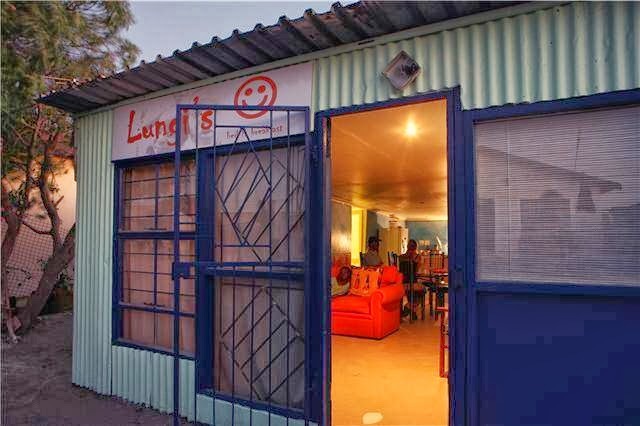 This neighbourhood is about as real as it gets, and guests will struggle to find more sincere South African hospitality than Lungi’s B&B. 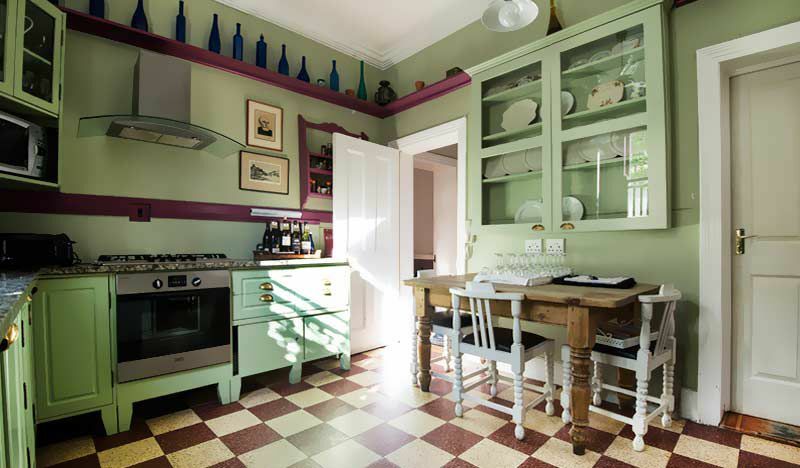 Lungi’s was fully redecorated in 2009 and the house, with 3 guest rooms, stands on its own plot with a snug garden. Guests can look forward to African and European breakfasts prepared by Gladys. 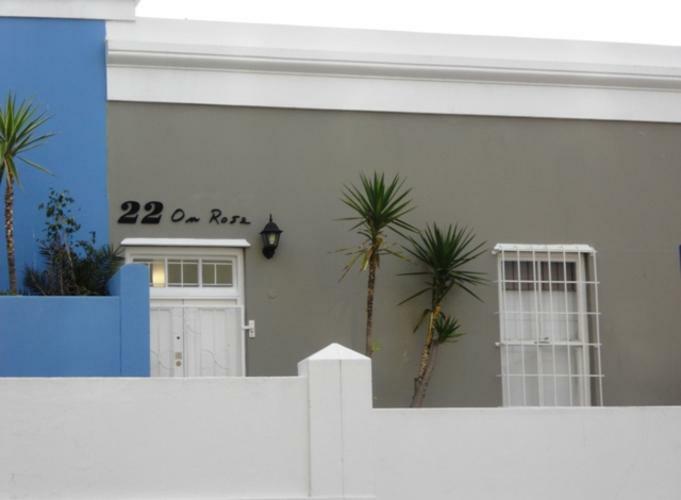 Located in Cape Town’s historical Malay quarter, you wouldn’t want to pass up the chance to stay at 22 on Rose in one of the city’s iconic colourful houses. 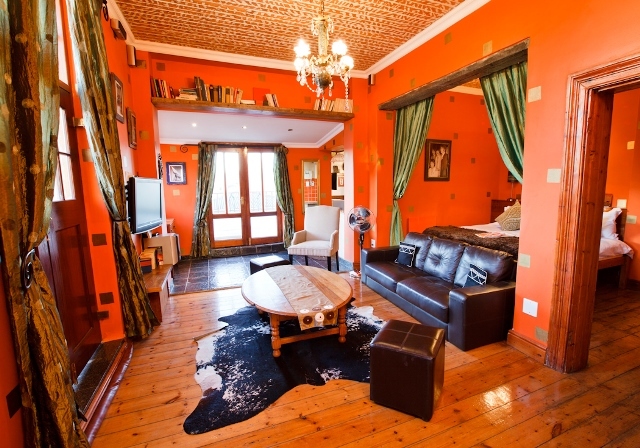 Close to the best attractions in the Mother City, including the V&A Waterfront and Table Mountain, this Bo Kaap guesthouse offers 3 en-suite bedrooms on a B&B basis. A substantial continental breakfast is served. Capping the cream of the crop in the small lodging category in Green Point Cape Town, Jambo (meaning ‘Hello’ in Swahili) offers a characterful and affordable 4-Star bed and breakfast option in one of the city’s trendiest suburbs. Perfectly positioned for social or business engagements at the Cape Town Stadium, V&A Waterfront or CTICC, the nearby promenade provides a welcome respite from the tension of the day, as does Jambo’s tranquil garden where discovery and meditation go hand in hand. The search for uninterrupted views over False Bay stops at Albatross House in Simonstown – South Africa’s scenic naval community. Hosts Leon and Sandy Strydom are passionate about nature and love sharing their doorstep spoils with guests. In addition to the views Albatross House affords its guests, the accommodation is very close to Boulder’s Beach and the acclaimed African Penguin colony, as well as Cape Point and the Simon’s Town Waterfront. You’ll be hard-pressed to find a better balcony to observe cavorting Southern Right Whales, not to mention, the daily goings on of the Simons Town Harbour. 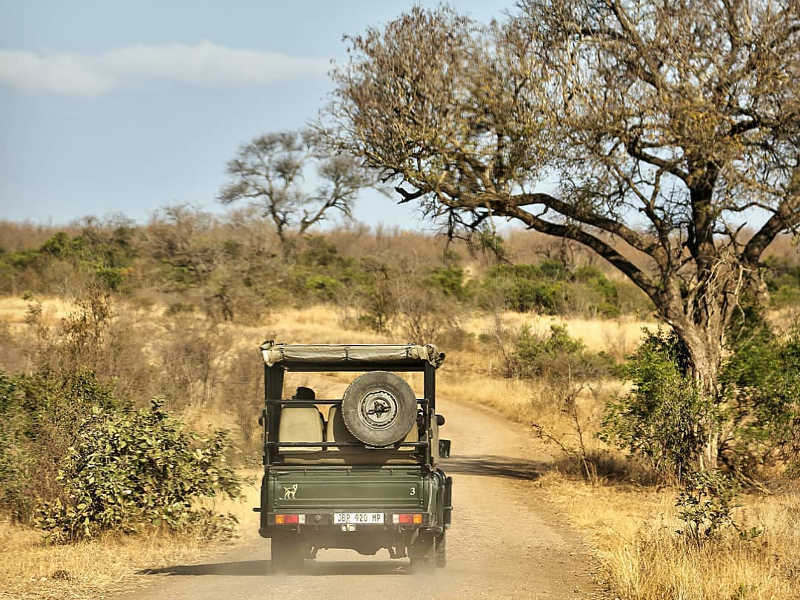 Whether you choose to book a room with or without breakfast, or rent the luxury self-catering apartment, this family run guesthouse guarantees the best in South African hospitality. Modern structural lines give way to outstanding views of the picturesque fishing village of Hout Bay at the CUBE Guest House. 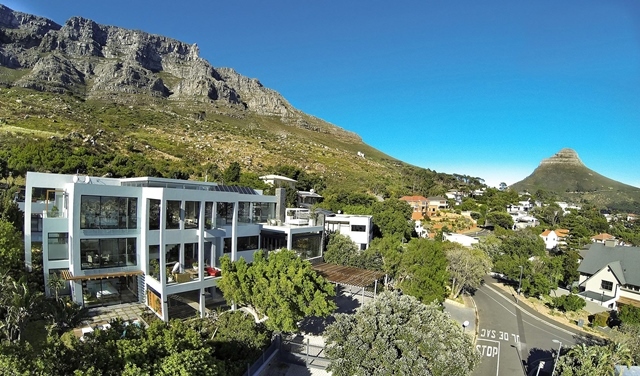 This contemporary Cape Town bed and breakfast was a winner in the 2014 TripAdvisor Travellers’ Choice Awards; a well-deserved accolade for a guesthouse that only opened in 2011. Take time to enjoy fresh, homemade breakfasts on one of the terraces, and take a perennial dip in the CUBE’s ever-inviting heated swimming pool. Don’t miss nearby Bay Harbour Market if your stay coincides with the weekend. 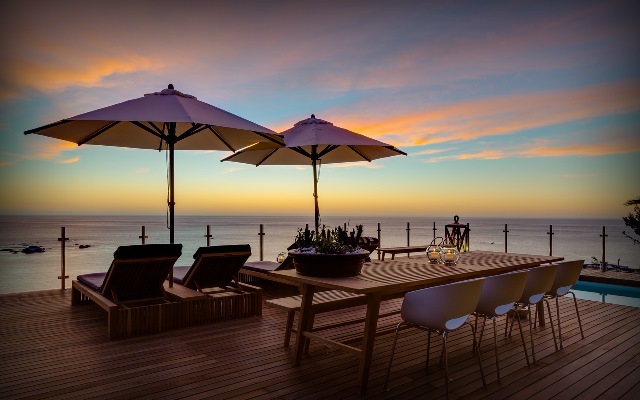 From its enviable location at the foot of the Atlantic Seaboard’s Twelve Apostles, Boutique@10 offers indulgent B&B accommodation with flawless views of one of the most sought after stretches of coastline in South Africa. With the Table Mountain Cable Car just 5 minutes away and the Camps Bay Strip firmly in your sights, Boutique@10 is high-flying coastal calming at its best. 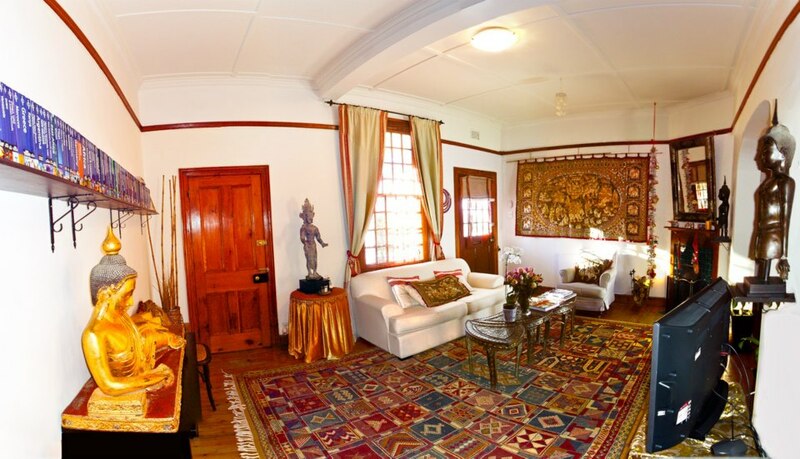 The guesthouse features 4 sumptuous suites, and the interior is a comfortable nest cocooned in a variety of rich woods, large arched windows, brass wall lamps and the original wrought-iron balustrade from the historical Sea Point President Hotel. 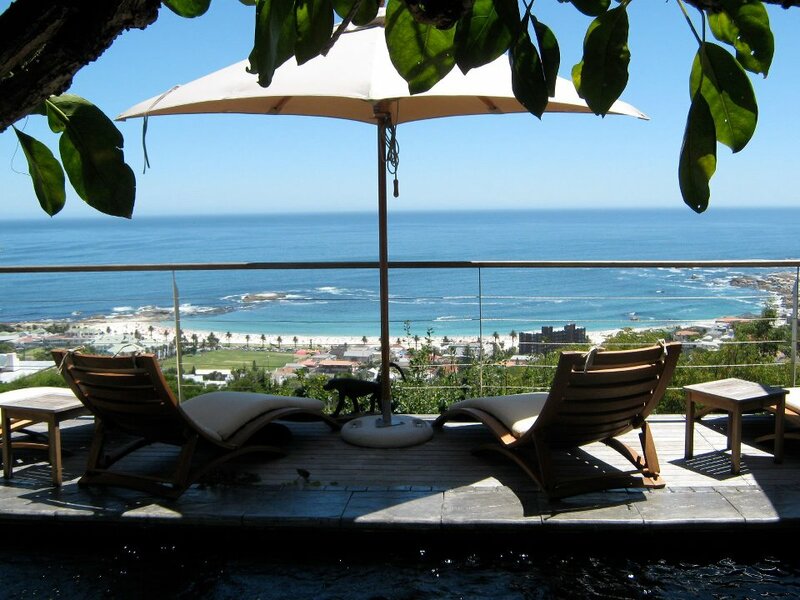 From its desirable position on a cliff above Cape Town’s famous Clifton Beaches, Cape View has all the embellishments of a luxury boutique hotel, but the unfussy service and creature comforts go a long way in giving the guesthouse the familiar feel of a sophisticated private home. But Cape View’s foremost draw card undoubtedly lies in its sweeping panoramic views over the Atlantic. Thanks to its location, the house is largely protected from the infamous Cape Southeaster which lambastes the Atlantic Seaboard in the summer months. The Deluxe Suites, each with their own private balcony, are sea-facing, luxurious and large; while the Junior Suite is smaller and offers ample space for two guests. Rounding up the accommodation are the two and three bedroom suites which offer complete comfort and solitude for families. 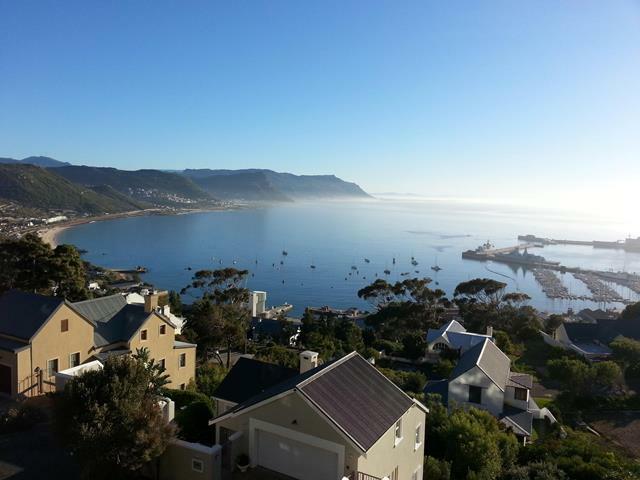 Those seeking a slice of Cape Town’s quieter side will love the fact that this modern, mountainside bed and breakfast is in Fish Hoek – the peninsula’s rugged coastal village with seafaring charm. Set away from the sea, 3-Star Inn Between is a warm and luxurious, amiably styled B&B with five tastefully decorated rooms offering all the creature comforts of home including Wi-Fi. This is the ideal choice for budget-minded travellers looking to break away from the flurry of the city. 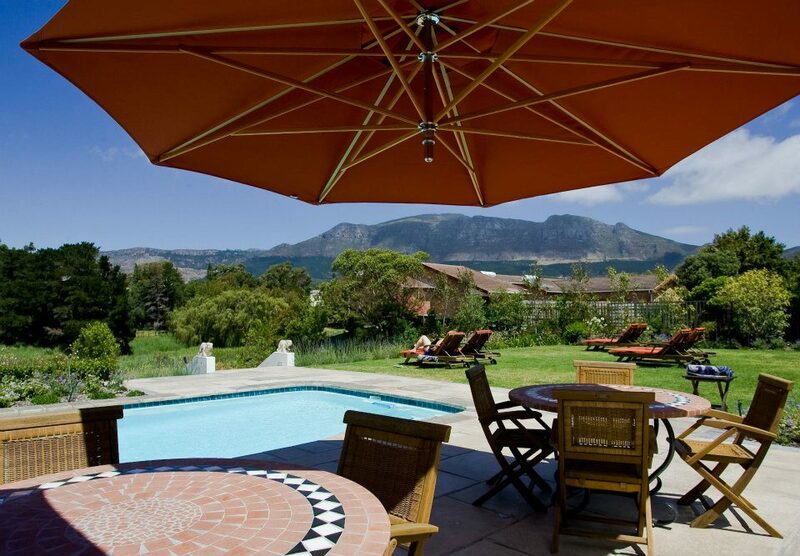 Set in one of Cape Town’s most desirable suburbs, Dongola Guest House is mere minutes from Kirstenbosch Gardens and a multitude of world-class vineyards which form part of the Constantia Wine Route; including Klein Constantia, Buitenverwachting and Groot Constantia – Cape Town’s oldest wine estate. 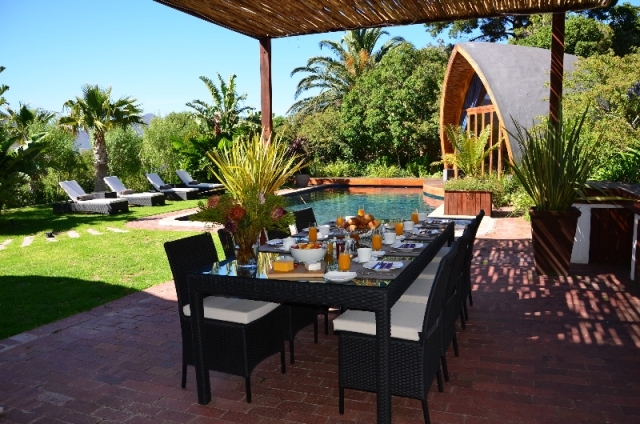 Responsible tourism is a primary focus of this 4-Star Cape Town bed and breakfast which celebrated its 6th year in business in 2014. Seven contemporary fitted en-suite rooms offer guests an experience that is “a little bit home and a little bit hotel”, with a few pleasant touches such as fluffy bathrobes. An A La Carte breakfast menu is served every day in the landscaped gardens next to the pool, where guests can also enjoy views of Table Mountain National Park. Thanks to its fantastic location, Dongola Guest House remains a perennial pick for insightful travellers. Outdoorsy travellers seeking mountain views and easy access to Cape Town International Airport won’t do much better than this inviting guest house at the foot of the Hottentots Holland Mountains. 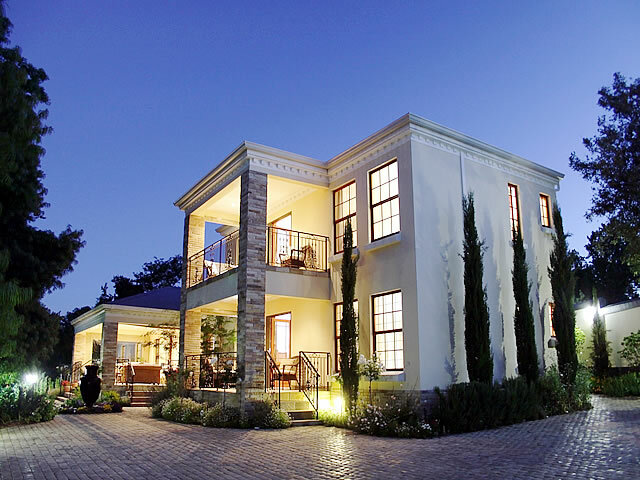 Blaauwheim offers an upmarket, stately retreat just 20 minutes from Cape Town International Airport. Owners Johan and Jo-Anne Blaauw are avid art collectors and gardeners, and are committed to reducing their carbon footprint through an extensive recycling and sustainable living routine. Parker Cottage is a small, owner-managed business with eight permanent staff … 9 if you count Jasper, the resident Dachshund. 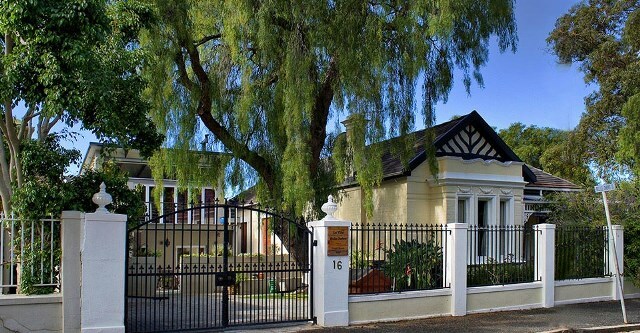 Domestic charm aside, Parker Cottage is a Cape Town bed and breakfast that offers serious affordability in one of the City Bowl’s most sought after neighbourhoods. The grand Victorian house was once the residence of Cape Town Mayor John Parker. Accommodations range from lavishly-appointed rooms for a romantic escape, to economical options for those who have come to work and play in the Mother City. A family suite sleeps up to 5 guests, while several rooms are perfectly suited to accommodate small groups. Wine tastings are held twice a week and their gourmet breakfasts are made of the stuff of legends! As Cape Town’s leading guesthouse exclusively for gay men, it’s fair to say Cactus House in Oranjezicht caters for customers with a penchant for all things prickly. Cheeky innuendos aside, this Cape Town B&B with flair is your best bet if it’s a central location you’re after. Featuring six spacious rooms with freshly painted walls and modern art pieces, Cactus House offers gents a serene haven under the guard of Table Mountain. 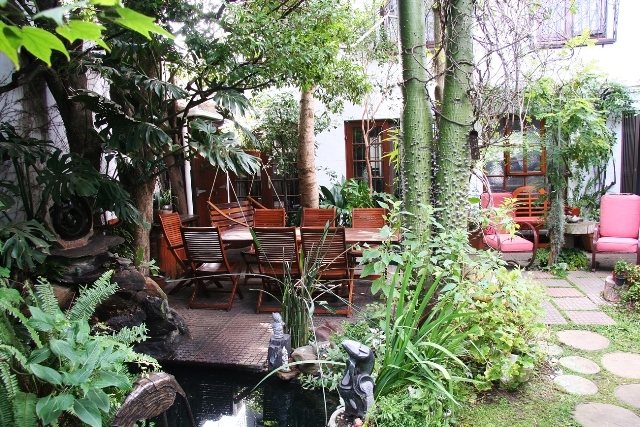 Best of all, you’re just steps away from Kloof Street’s famous dining and nightlife scene. Housed in a National Monument, this lovingly restored Sea Point bed and breakfast is over 100 years old and the original wooden floors and doors still exist as they were way back when. Whether it’s the smell of a roaring wood fire in the evening, a hot water bottle in your bed on turn down, or freshly baked rolls from the local bakery every morning; Sweet Lemon with its homely farmhouse feel reflects the same stylish but casual lifestyle that Sea Point is known for. The beaches, shops and many restaurants are close by, as is the MyCiti bus route. An ‘organic’ B&B sanctuary located on one of Cape Town’s most spectacular stretches of coastline, this wholesome house is built to give back to the environment. 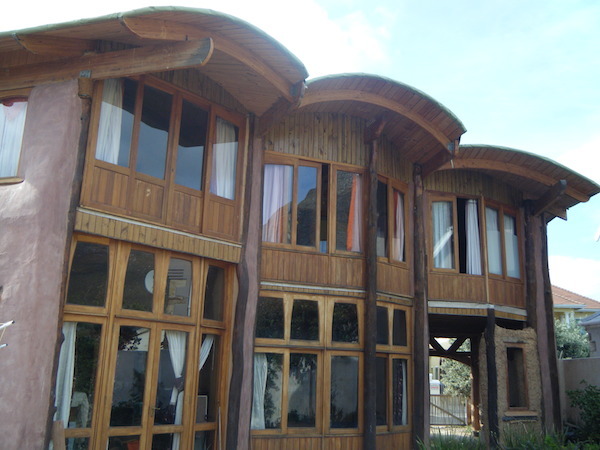 Like many traditional African houses, Samhitakasha is built from mud and straw, but in this case using “cob” techniques perfected in parts of the UK. Here you can enjoy a full organic breakfast, relax in a room furnished with natural and organic materials, and take a shower heated by the sun and soon recycled in the garden. The eco-friendly accommodation, with its own private entrance, consists of a spacious triple bedroom with en-suite shower. 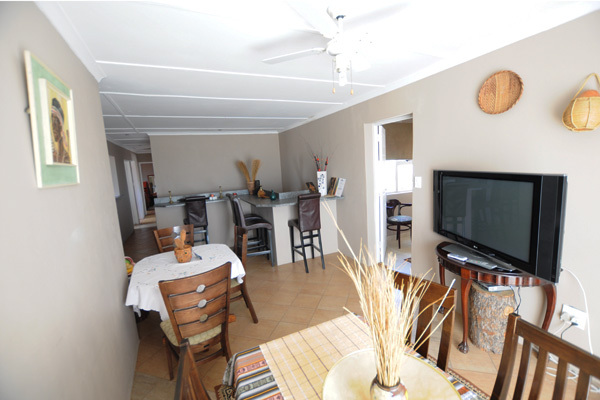 The house is situated 200m from Muizenberg’s pristine beachfront, ideal for swimming and learning to surf. One TripAdvisor user describes the owners, Pier and Graziella, as “being impossible to find these days”. This quirkily decorated Atlantic Seaboard guesthouse invites you in with its warm colours, scrumptious breakfasts and gracious hosts. The décor, packed with an array of artifacts from the original Vagabonds’ adventures around the world, is a mixture of Eastern/African influences and sets the scene for a picture perfect stay. With endless options on your doorstep, this is the ideal place to seek refuge from the busy streets of Cape Town while still being centrally located. Kopanong Bed & Breakfast is run by Thope Lekau and her daughter Mpho, two energetic and active community members of Khayelitsha Township. 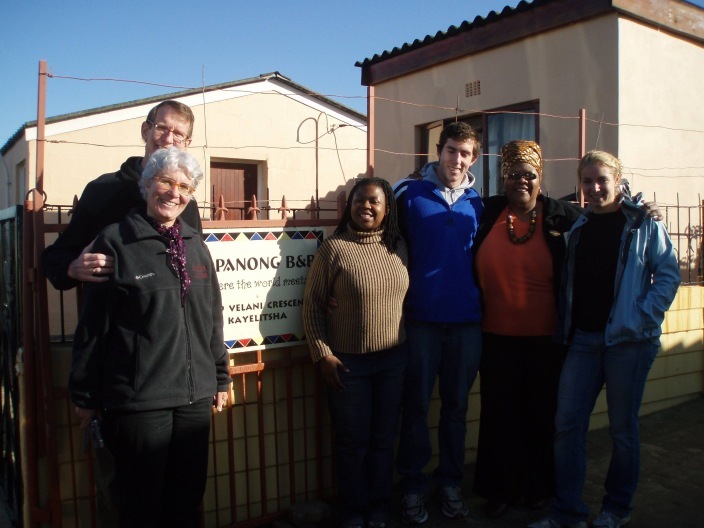 Staying at Kopanong with Thope and her family you won’t feel like an outsider. This neighbourhood thrives on its strong sense of community and welcoming guests with an upbeat blend of food, music, dancing and laughter is a given. Established in 1999, the B&B comprises three guest rooms and a large covered terrace area where tour groups are welcomed for lunch, tea, or cold drinks and snacks. 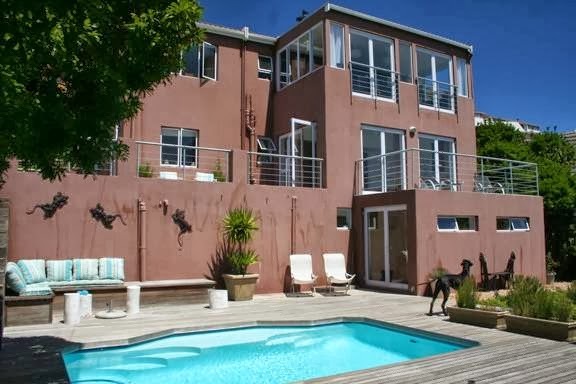 Bordering on the tranquil Blaauwberg Nature Conservation with lots of bird life, Elizabeth’s Guest House is a 4 Star AA Superior Accredited Guest House situated in a secure residential environment in Bloubergstrand, Cape Town. The guest house is just 3 minutes’ walk to Blouberg Beach from where you have the classic view of Table Mountain across the bay. Guests with disabilities are well catered for at Elizabeth’s Guest House and the accommodation even boasts its own ‘Roll-in Room’ – a purpose fitted room for wheelchair bound visitors. Whether you choose to share a Shark Spotters view of False Bay or go shack-chic in the townships, we hope you’ve found your home away from home in the Mother City where there is no shortage of things to do, see and experience! 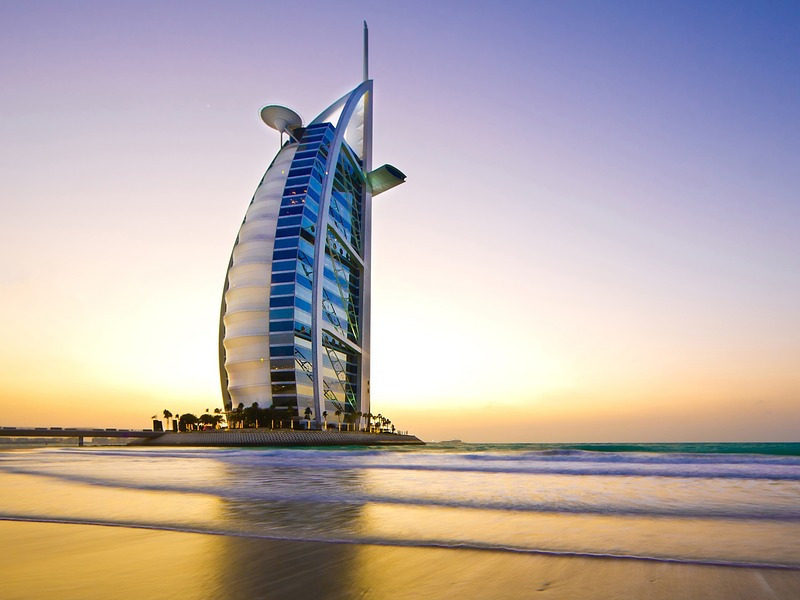 Should you wish to get assistance in making a reservation, we have a team of Travel Experts that would love to help. Should you wish to get assistance in making this reservation or to receive a quote, we have a team of Travel Experts that would love to help. You can contact Travelbar by calling 021 468 4300 (Monday – Friday) or by sending an email to travelbar@travelstart.com with all details exact dates, where exactly you are wanting to stay, number of guests and ages and your budget. One of our agents will get back to you with 2 working days with a quote. You welcome to contact our direct sales team on travelbar@travelstart.com where one of our Travel Consultants would love to assist. Please give them dates, and where about you looking to stay and budget and they will get back to you within 2 working days. Unfortunately we would not be able to assist you with your request. Alternatively you contact the Cape Town tourism board they should be able to assist with accommodation. Albatross House is amazing. The friendly staff, amazing view and lovely breakfasts compliment the 4* accomodation and beautiful surrounds. Definitely a must-stay!! We have a small 89 sq one bedroom apartment, with own front and back doors. DSTV,wi-fi self catering. We also have guests for an adoption agency on a regular basis. We are situated in the heart of Durbanville. 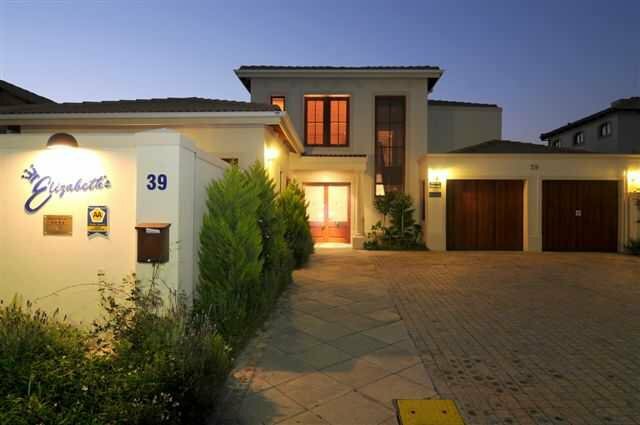 This is a safe,quite area and close to the Durbanville winelands and Stellenbosch.27Klm from the city bowl, V&A etc. 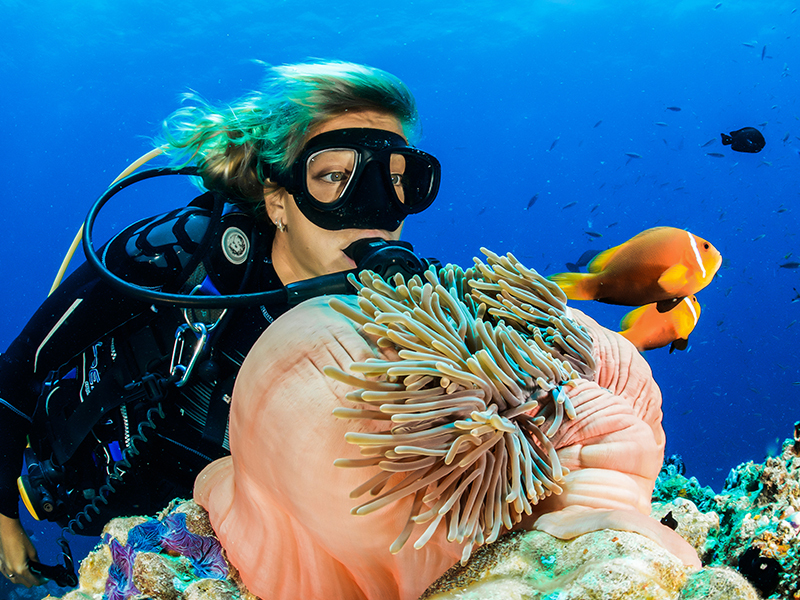 We also provide Tours of the penisula through tour operators in close proximity!!! !